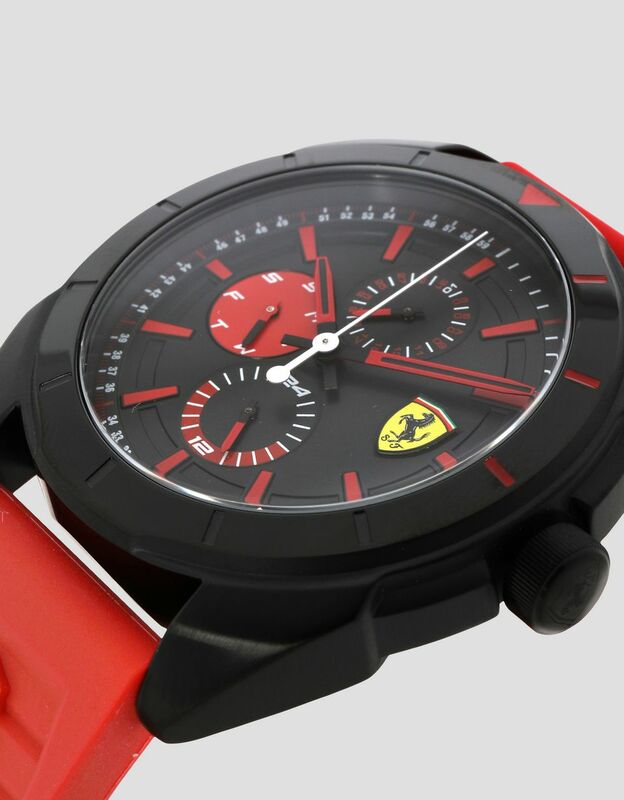 With lines and details inspired by the design of racing cars, the Forza captures the spirit of the race track in a timepiece. 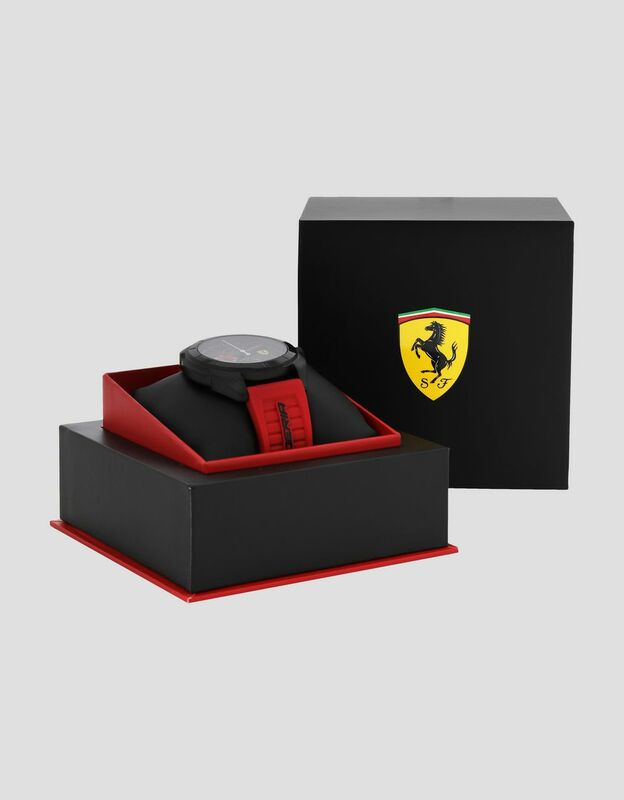 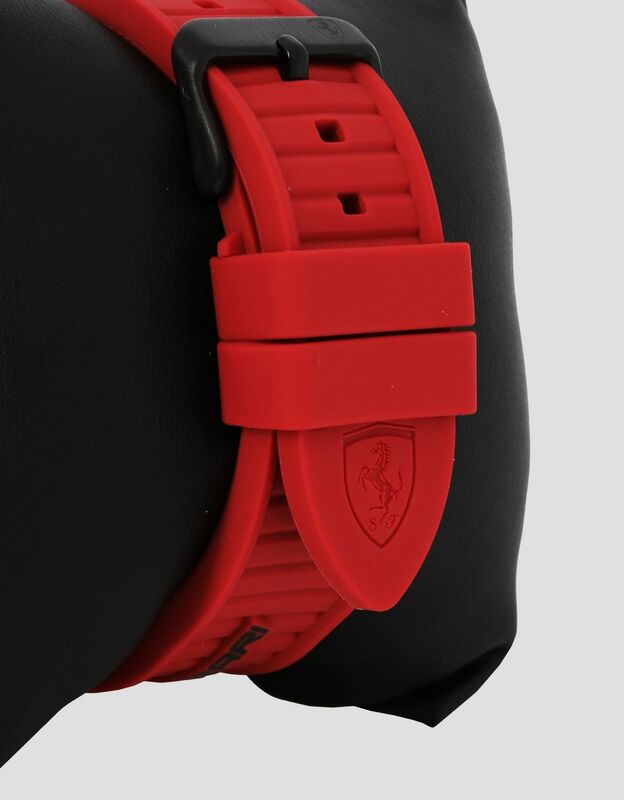 Created to adorn the wrists of Scuderia Ferrari lovers, the innovative contours of the multifunctional Forza's distinctive black case evoke the air intakes of Scuderia Ferrari single-seater racing cars. 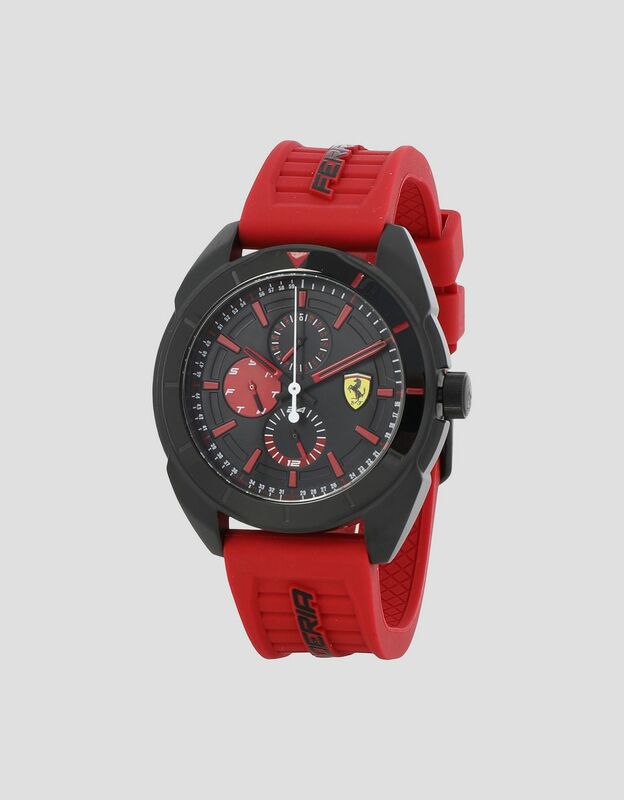 The bold contrasting chrome colours and clean lines emphasise the watch's sporting spirit: The large black dial is enlivened by red detailing, while the red silicone strap features the Scuderia Ferrari logo in black. 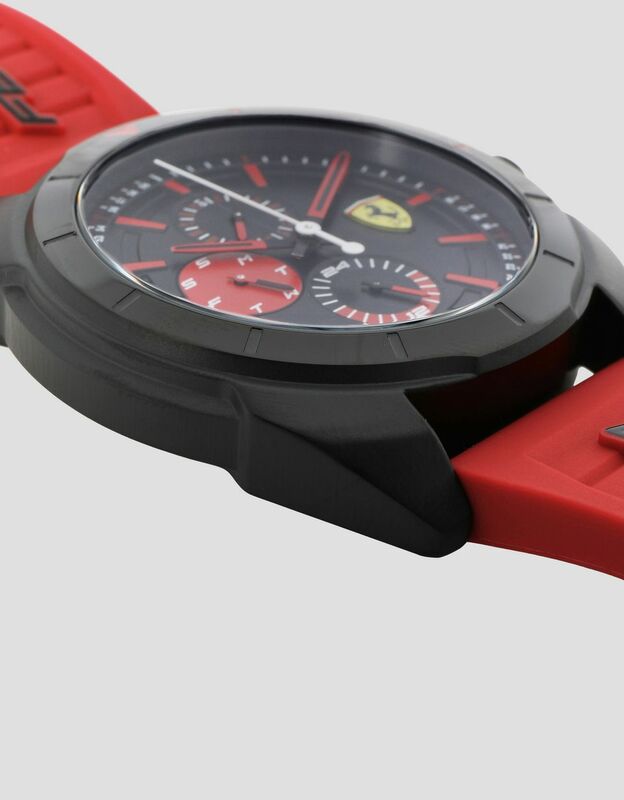 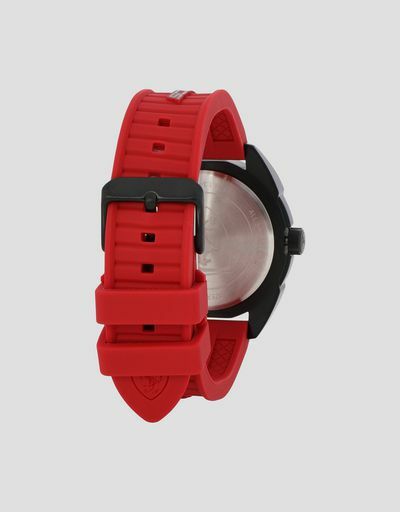 The Ferrari shield makes this timepiece unique.